Guerlain La Petit Robe Noire Lip Colour'Ink is an ultra fine, zero texture lip formula that allows you to build colour and get all lip styles from one lipstick. 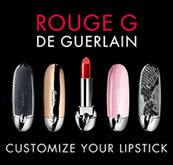 A long lasting lip ink, it is also deliciousy perfumed with the La Petit Robe Noire Fragrance, for a complete experience. 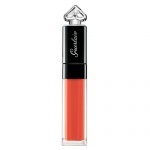 Guerlain La Petite Robe Noire Lip Colour'Ink Adventurous is a liquid lipstick with a matte finish: Lip Colour’Ink is the first fearless liquid lipstick! Adventurous bright blue shade. Guerlain La Petite Robe Noire Lip Colour'Ink Ambitious is a liquid lipstick with a matte finish: Lip Colour’Ink is the first fearless liquid lipstick! Amitious is a very deep shade of brown. Guerlain La Petite Robe Noire Lip Colour'Ink Black Perfecto is a liquid lipstick with a matte finish: Lip Colour’Ink is the first fearless liquid lipstick! Black Perfecto is a deep purply black shade. Guerlain La Petite Robe Noire Lip Colour'Ink Candid is a liquid lipstick with a matte finish: Lip Colour’Ink is the first fearless liquid lipstick! 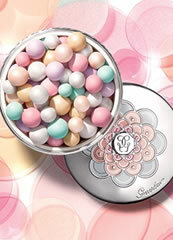 Flawless is a pastel shade of baby pink. Guerlain La Petite Robe Noire Lip Colour'Ink Conqueror is a liquid lipstick with a matte finish: Lip Colour’Ink is the first fearless liquid lipstick! Conqueror is a truely bright orange shade. Guerlain La Petite Robe Noire Lip Colour'Ink Creative is a liquid lipstick with a matte finish: Lip Colour’Ink is the first fearless liquid lipstick! Creative is a bright shade of pink. Guerlain La Petite Robe Noire Lip Colour'Ink Dark Sided is a liquid lipstick with a matte finish: Lip Colour’Ink is the first fearless liquid lipstick! Dark Sided is a very deep shade of blood red. Guerlain La Petite Robe Noire Lip Colour'Ink Empowered is a liquid lipstick with a matte finish: Lip Colour’Ink is the first fearless liquid lipstick! Empowered is a true bright pillar box red shade. Guerlain La Petite Robe Noire Lip Colour'Ink Get Crazy is a liquid lipstick with a matte finish: Lip Colour’Ink is the first fearless liquid lipstick! Get Crazy is a bright shade of orange. Guerlain La Petite Robe Noire Lip Colour'Ink No Filter is a liquid lipstick with a matte finish: Lip Colour’Ink is the first fearless liquid lipstick! Flawless is a pastel shade of coral pink. Guerlain La Petite Robe Noire Lip Colour'Ink Stylegram is a liquid lipstick with a matte finish: Lip Stylegram is a rusty bronze shade. 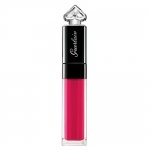 Guerlain La Petite Robe Noire Lip Colour'Ink Trendy is a liquid lipstick with a matte finish: Lip Colour’Ink is the first fearless liquid lipstick! Trendy is a very dark almost black shade of purple. Guerlain La Petite Robe Noire Lip Colour'Ink Yuccie is a liquid lipstick with a matte finish: Lip Colour’Ink is the first fearless liquid lipstick! Yuccie is a bright shade of purple.